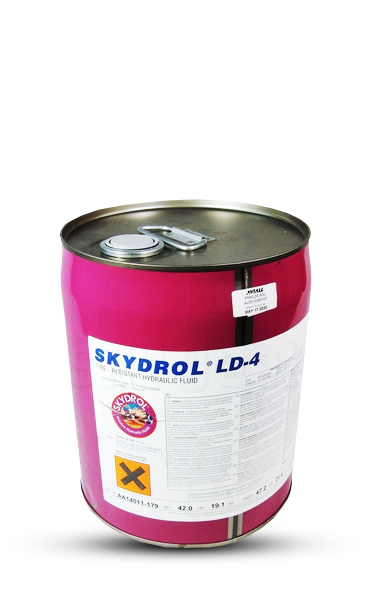 Trast Aerosupermarket (Aquiline Internationl Goup of Companies) offers hydraulic fluid Skydrol LD-4 from its premises at Sharjah International Airport Free Zone (SAIF Zone) available for immediate sales worldwide. Materials used in the hydraulic system and surrounding it must be compatible with the hydraulic fluid. The fluid must not degrade their performance; neither should the materials degrade the fluid. The materials and components used in and near any aircraft hydraulic system are carefully selected by the airframe manufacturer. 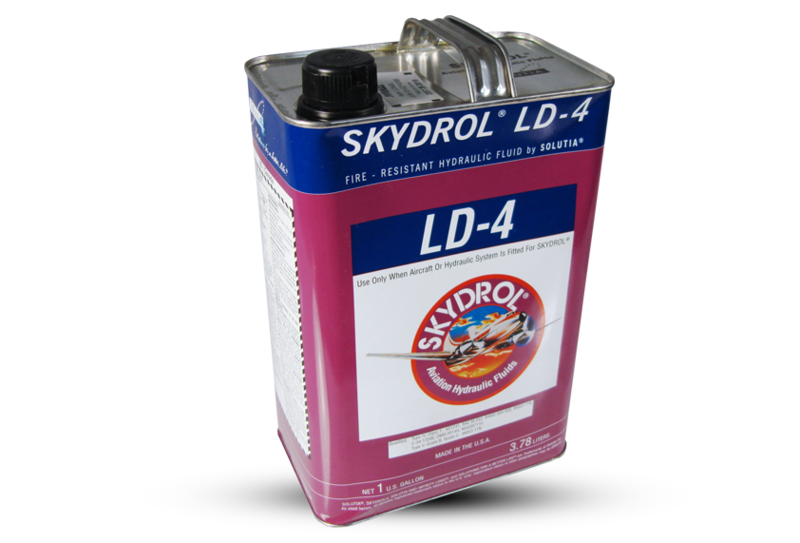 The aircraft industry uses many synthetic materials – many are resistant to Skydrol fluids and some are not. Many that are not totally resistant require long exposure before damage results.Deviations from the recommended materials should not be made without prior consultation with the airframe manufacturer and the materials components suppliers. The table below contains the general rating of compatibility of various materials with Skydrol fluids. EXCELLENT RESISTANCE – Material may be used in constant contact with the fluid. GOOD RESISTANCE –Withstands exposure to the fluid with minimum swell (for plastics and rubber) or loss of integrity. POOR RESISTANCE – Should not be used near the fluid. NO RESISTANCE – Disintegrates in the fluid. Skydrol® fire resistant hydraulic fluids may cause intense pain on exposure to the eye and its associated membranes. Despite the pain they may cause, toxicological testing and our experience both indicate that Skydrol fluids do not damage the eye. Aviation store www.trast-aero.com offers for sale aviation oils and lubricants, avionics, spare parts, rescue equipment, satellite phones, tires and batteries for the aircraft. Delivery to any airport.